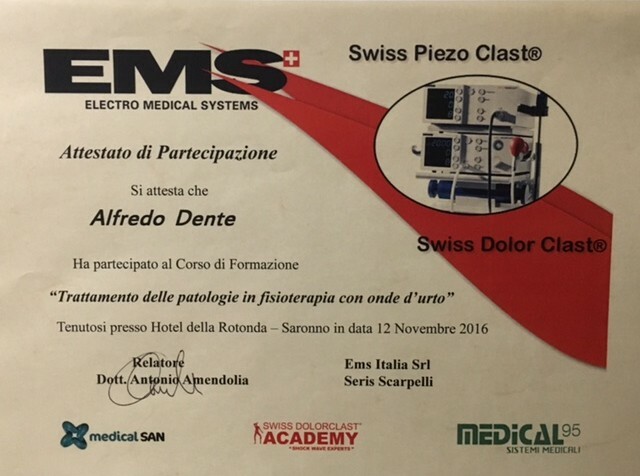 Alfredo Dente joined Ecolife teaching program in 2017 as part of a long term project. 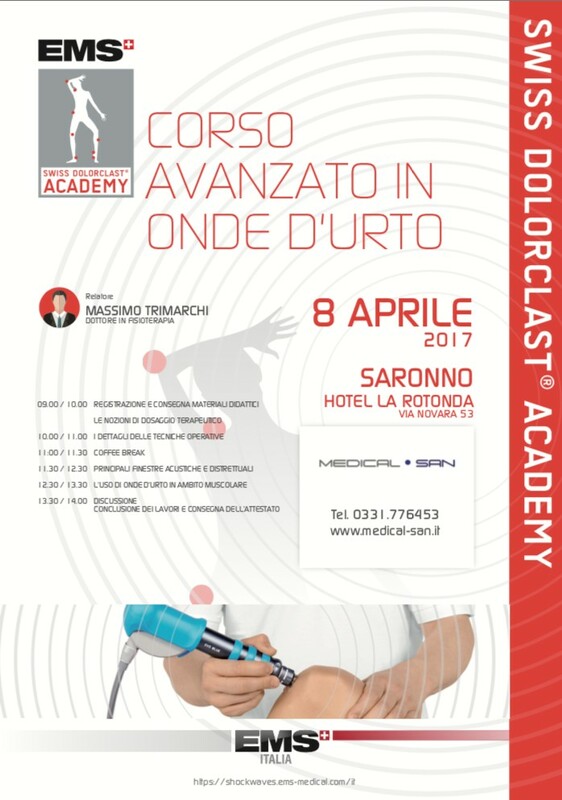 Ecolife is a well established professional education provider which is running many courses here in Milan and which has tight ties with the University and the local authority (regione Lombardia). School Director Emilio Tirelli is a committed truly passionate individual and it’s a real pleasure to be part of this establishment. 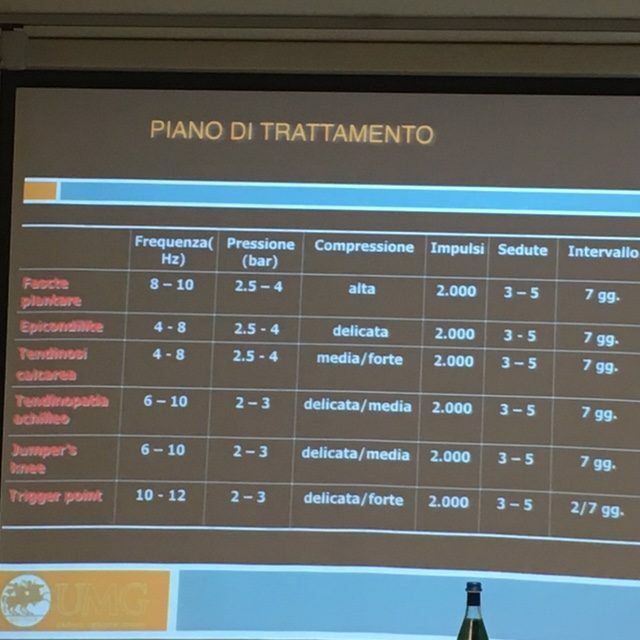 I hope this first seminar Il trattamento miofasciale della spalla will be one of many more to come. 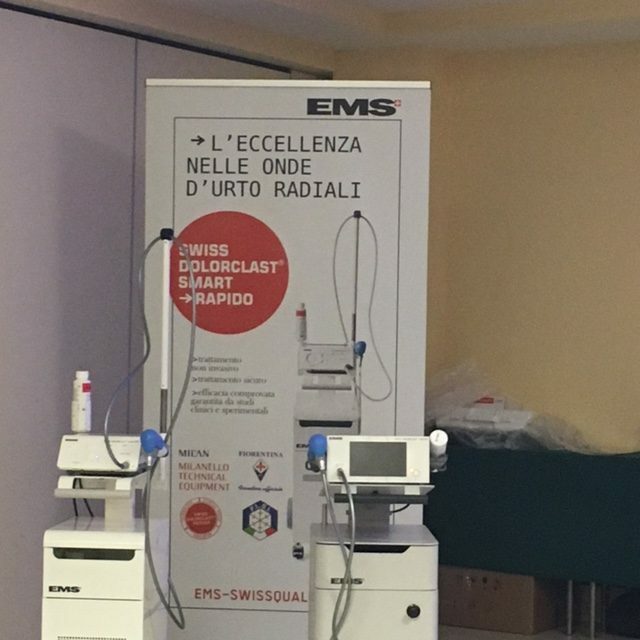 Thank you to Prof. Antonio Amendolia for both the theoretical and practical support in the use of Shock Waves (Onde d’Urto) with the latest updates in the evidence based practice. 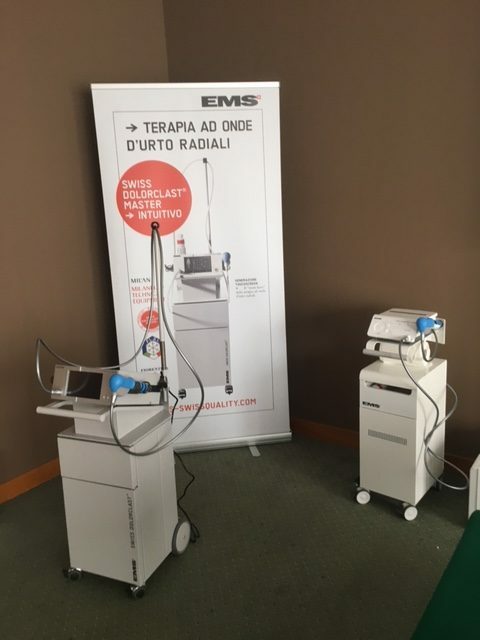 We can now offer a better practice with the EMS Shock Waves for a wide range of musculoskeletal conditions such as Plantar Fasciaitis, Achillles Tendinosis, Rotator Cuff and Shoulder pain, epicondilitis and more. Unbelivable Win for Ducati after six Years in Austria. Andrea Iannone the Maniac take a Historical win after Casey Stoner’a Last in Australia in 2010. Well done Andrea and congratulations to you and Ducati Corse. 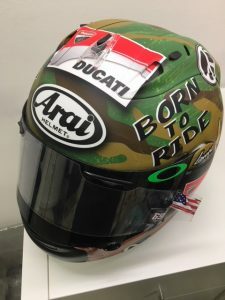 Roby from STARLINE is the genius behind the beautiful graphics and crafting work we see every year on MOTOGP riders colourful helmets (Lorenzo, Dovizioso, and Vale also in the past). 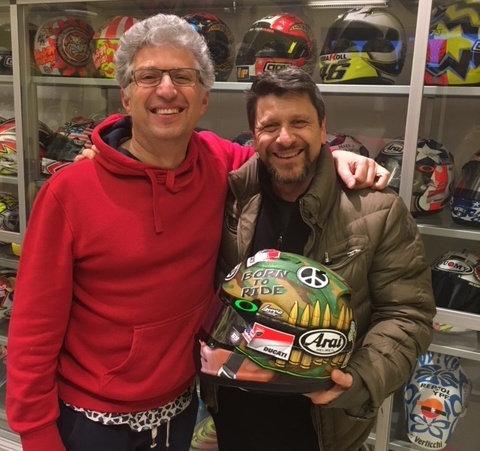 I met Roby through Nicky Hayden who is still one of his most affectionate clients (since 2005) and today here in Pesaro at Starline I am being given a special gift: Nicky’s Arai helmet with one of the most creative and meaningful graphics which Nicky chose to display at Indianapolis during the 2013 Championship. 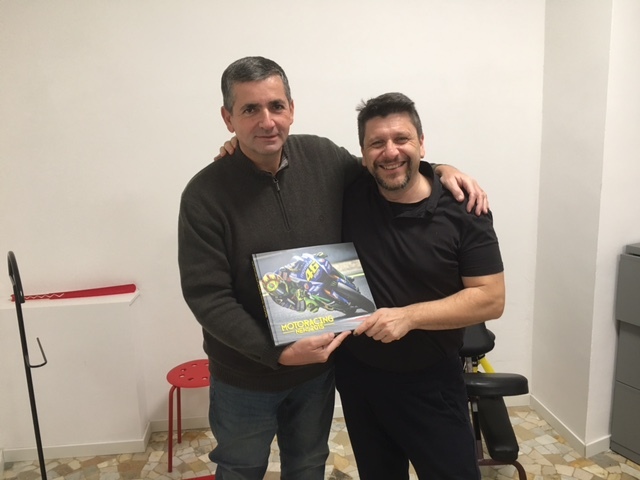 Thank you so much Roby, very much appreciated and I’m sure that riders will keep asking you to create newer and funkyer graphics for many years to come. 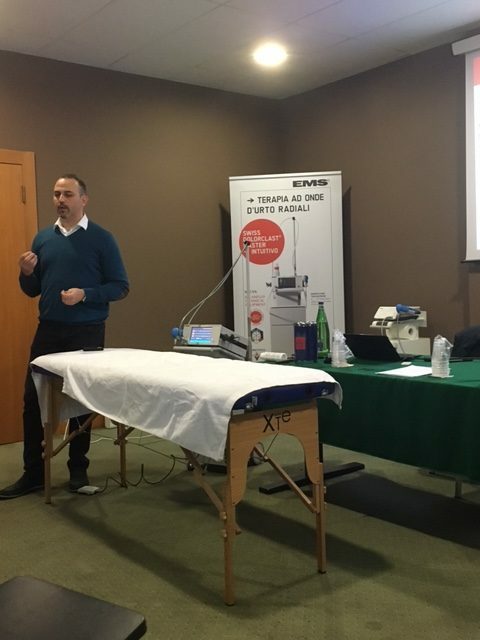 Thank you Tino for choosing Physiotherapymilan to get back in shape before the new season in Motogp. 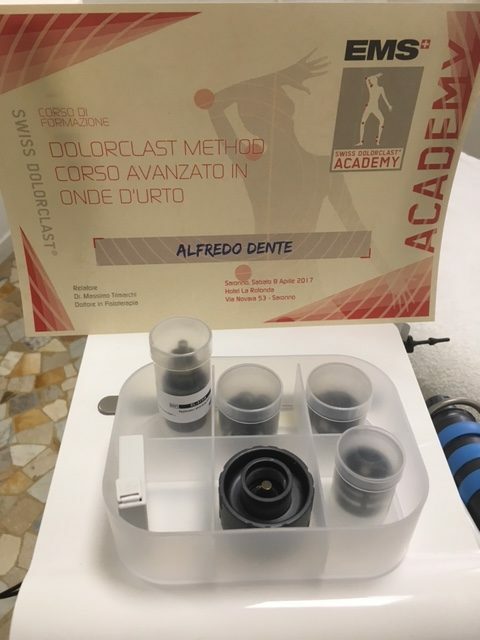 Tino is a professional photographer with official accreditation in Motogp. 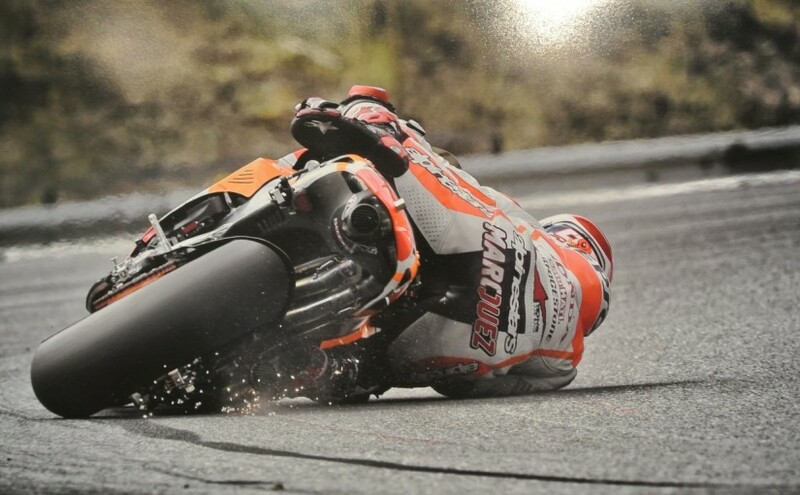 Tino got some recognition recently for shooting Marc Marquez during a spectacular “Elbow move” to avoid crashing while testing his Honda in 2014 although his preferred subject is probably Valentino. “A lucky shot” Tino said but still one has to be at the right place at the right time. 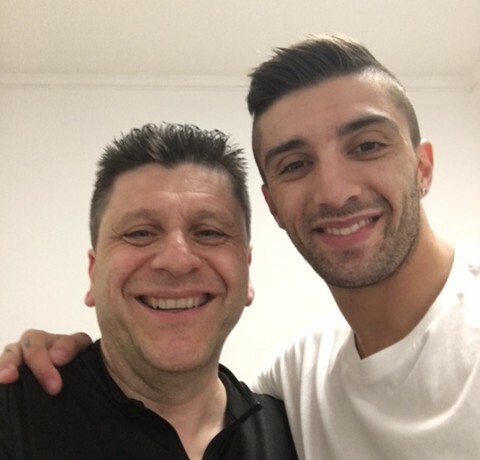 Well done Tino and thank you for visiting an old friend. 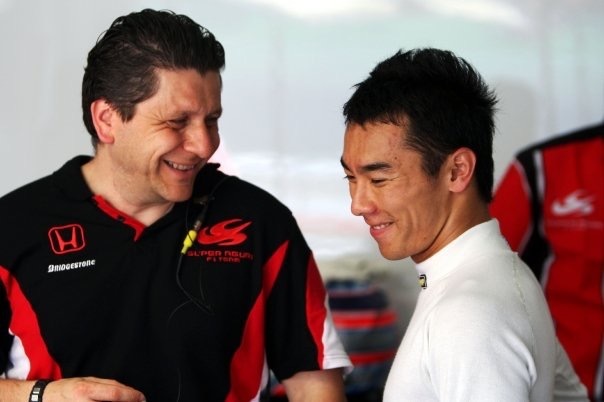 at the time when he joined me in the picture Andrea did not know yet how much of a show he would put up at the very same australian track two years after. 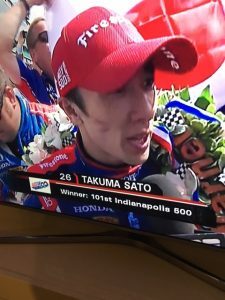 Boy, that’s what racing is all about. Vale, Lorenzo, Marquez and the smiling guy in the picture who managed an amazing double overtake to claim the last step of the podium. Congratulations to Andrea and to Vale, Jorge and Mark for the most exciting race in years who kept us stuck on the sofa breathless lap after lap.